The applications were made possible by sponsorship from the WIA in cooperation with RES. Both applications once downloaded and installed require no internet connection. In the iOS version the videos are download once only as needed and no further downloading required. Both courses are supported by RES. Both courses are the same and comprise of easy to follow instructional videos. Please help promote amateur radio. 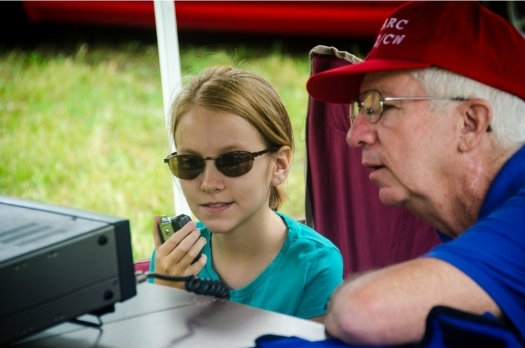 These courses are a good marketing tool should you meet someone interested in Amateur Radio. This short course is suitable for about 11 years and up. The Foundation Amateur Radio course will lead you to a successful outcome for the Foundation Operators Certificate of Proficiency. The Foundation Certificate is the first tier of a three tier qualification system for Radio Amateurs in Australia. The Foundation Certificate is an Australian Federal government certificate issued by The Australian Communications and Media Authority. • A combined multiple choice Regulations/Theory assessment (25 questions). • The Foundation Licence can operate in the bands listed below using the modes listed in the right hand column. Use of commercially manufactured transmitting equipment only is allowed. If you have any questions about this course or need any help while doing it you may email admin@res.net.au. We will be only too happy to assist you.